Sometimes tasting something straight from the source awakens primal taste memories in our genetic code we didn’t even know were there. Something like this happened when we first went to Mocha Arabica, a new café in Fatih with specialty coffees from Yemen. The first cup of java brewed for us, a variety called Balali from the Bani-Ismail region in north-central Yemen, west of the capital of Sana’a, was earthy and redolent. While we didn’t detect every single note in the wide-ranging description, which cites black grapes, dark chocolate, red wine, caramelized apple, honeysuckle, marjoram, lychee, apricot, almond, lemon curd and pineapple, it was without a doubt a highly nuanced coffee – it had a rich, silky mouthfeel, nice acidity, and botanical hints on the finish. Never before had it been quite so clear that coffee, like wine, can have a unique profile denoting distinct terroir. All of the beans at Mocha Arabica are single origin sourced from small farms in Yemen, which many believe is the oldest coffee cultivating region in the world, perhaps explaining the richness and complexity of the brew. 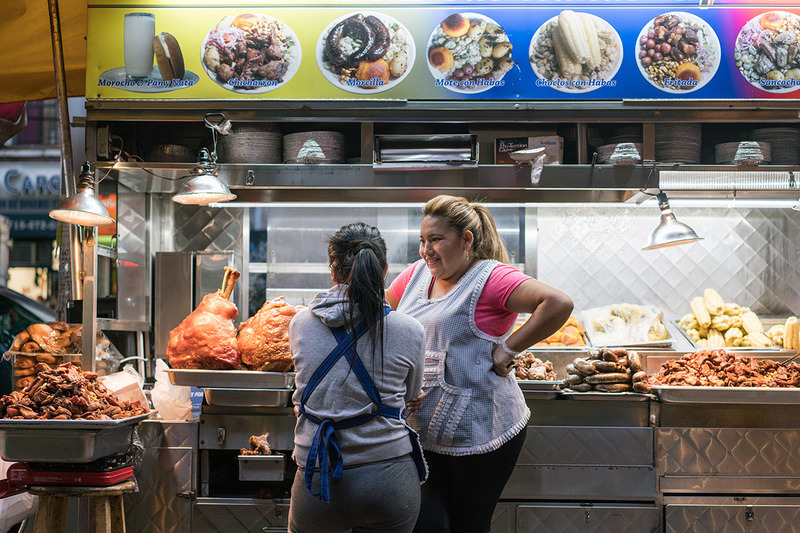 The menu includes tasting notes for each variety, making choosing difficult. After our first cup of coffee, we faced the task of picking another to take home, and our questions brought the owner, Basem Abdulbaqi, down from upstairs. Soon enough we were engaged in a lively conversation with Basem about different regions in Yemen, coffee varieties and brewing methods. He let us smell different roasts and brewed us a couple of samples until we finally settled on a type called Anisi, which has high citrus notes and a maple-syrupy base. 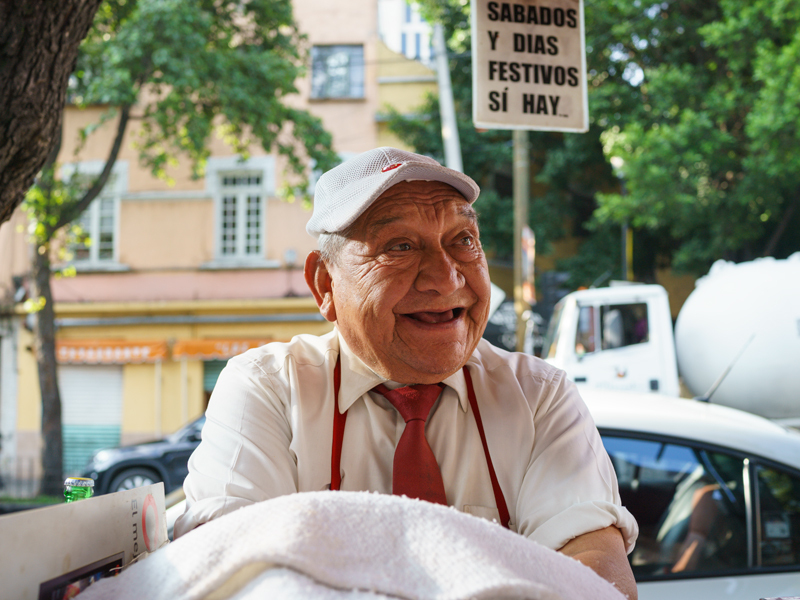 Unfortunately, the conversation spilled over the time we had available that day, so we returned a couple weeks later for another flight of coffee and a more serious discussion with Basem, the heart and brains behind the café and a man who seems completely besotted with coffee. Originally from the Taiz region of Yemen, Basem was educated and first worked as a geologist. However, coffee was always his passion. He began by reading about it, researching, studying, attending a Q-grader course (a bit like a sommelier for the coffee world, a Q-grader is licensed by the Coffee Quality Institute to evaluate coffees) and eventually turned his life over to his passion, starting production in Sana’a and then, with the help of his brother who already had a house here, moving to Istanbul, where he officially opened the coffee bar in October of 2018. His growing interest and expertise coincided with a movement within Yemen to bring coffee back as a major crop and export. 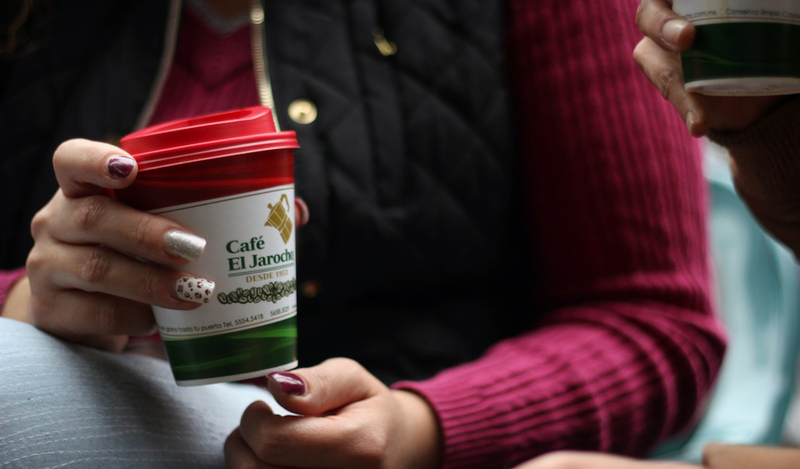 “Especially among young people, a revolution in coffee is taking place,” Basem said. These Yemeni third-wavers are seeking to reinvest value into a product that is important in terms of cultural heritage and potentially very lucrative. There are challenges. What makes Yemeni coffee so good also limits its growth. Nearly every village in Yemen has a few coffee plants, but the farms are small. 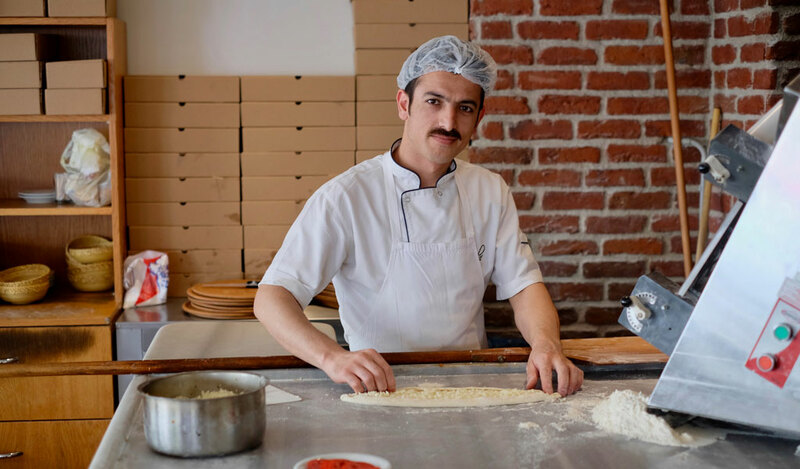 “Every step of the production and processing is done using traditional methods, and everything is completely organic,” Basem said. The berries are sun-dried, the husks removed by hand. The lack of a central body overseeing coffee production, failure to categorize different varieties, poor infrastructure and the threat of water shortage all add to the challenges of farming coffee. The civil war that has raged for the past three years between the central government and Houthi rebels has only exacerbated these problems. Logistical difficulties in importing basic products like fertilizer and the limited functioning of certain ministries that would facilitate the export of coffee make the local market the only option for producers. Various projects that were begun to help support the local coffee industry such as work by the Quality Coffee Institute had to be suspended because of the war. 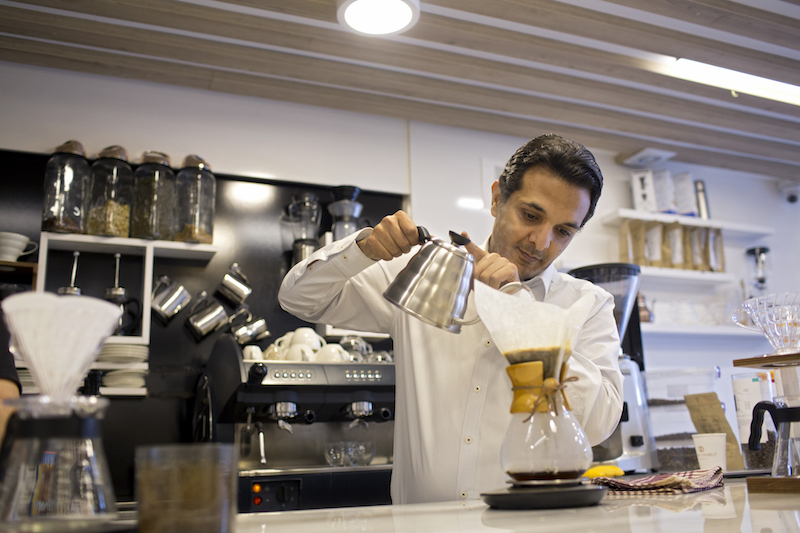 Yet the distinctive quality of Yemeni’s natural Arabica coffees has meant that a few intrepid entrepreneurs are committed to trying to continue sourcing and exporting it. At one point in our conversation, Basem and I began to talk about words, specifically two words that are very important to coffee heritage in Yemen and that feature in the name of Basem’s café, Mocha Arabica. The “mocha” part denotes not the drink that Italians came up with when they added cocoa to the beverage, perhaps in an attempt to replicate the chocolate-y notes of Yemeni coffee, but rather the port city Al-Mokha in Yemen where coffee was first exported and became known to the rest of the world approximately 500 years ago. As recounted in Mark Pendergrast’s book Uncommon Grounds: The History of Coffee and How It Transformed Our World (1999), coffee plants are believed to have been first discovered in Ethiopia, although no one knows precisely how or when. Legend has it that a goatherd was inspired to eat the berries he noticed were making his goats so frisky. At some point coffee plants were brought from what is now Ethiopia, where they grow wildly, to Yemen, where the beverage was first consumed by Sufi monks. According to another legend Basem recounted, when a monk fell asleep while munching on coffee berries, some fell into the fire and were accidentally roasted. Thus Yemen is credited with being the place where the first brewed cup of coffee was imbibed. From here it quickly became a commodity and spread to other Arab countries and the rest of the world. When the Ottomans arrived in Yemen in 1536, they quickly established a monopoly on coffee production. 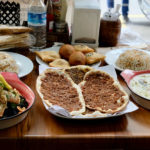 At that time, no raw beans were allowed out of the country as the Ottomans wanted to protect their corner on the market, but smugglers eventually made fast work of these restrictions. Once the Dutch and French got their hands on seedlings, coffee growing spread to India, Ceylon, the East Indies, Central and South America, and then to nearly all tropical areas of the earth. Still the port of Mokha remained at the center of this booming business for hundreds of years and the name became synonymous with a rich varietal of coffee grown in the highlands of Yemen. [Mocha Arabica] is about bringing Yemen back onto the world stage of coffee-producing countries. As for Arabica, this is the type of coffee that is native to the Horn of Africa and the Arabian Peninsula region, the only type that was known until the end of the 19th century, and the type of coffee that still makes up 60 percent of world production. If there’s anything that speaks to Basem’s mission it is these two words, Mocha and Arabica. Clearly Mocha Arabica is much more than a business for him. It’s about educating people and bringing Yemen back onto the world stage of coffee-producing countries – raising the country’s profile while also getting back to coffee’s roots. There are two sides to this movement. One is inside the country. In recent years, the production of khat (a mildly narcotic shrub that people in Yemen chew) had started to surpass coffee. Basem explained that khat is a much easier crop compared to coffee because it grows quickly, can be sold completely locally and is very lucrative. But coffee is starting to make a comeback. According to Basem, last year in the Haraz region, 15,000 khat trees were uprooted and replaced by coffee plants and other vegetables. 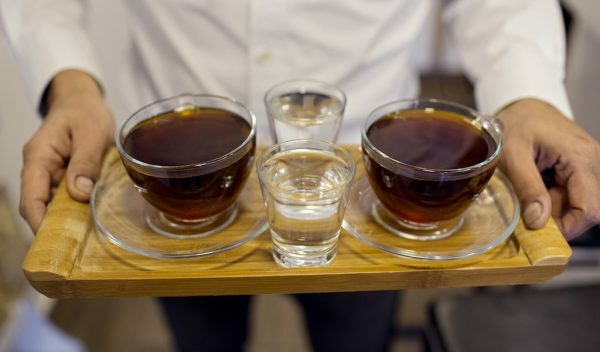 This resurgence of coffee culture seems to be, from how Basem described it, largely the work of a small circle of passionate cuppers, or coffee tasters. The second is outside the country. 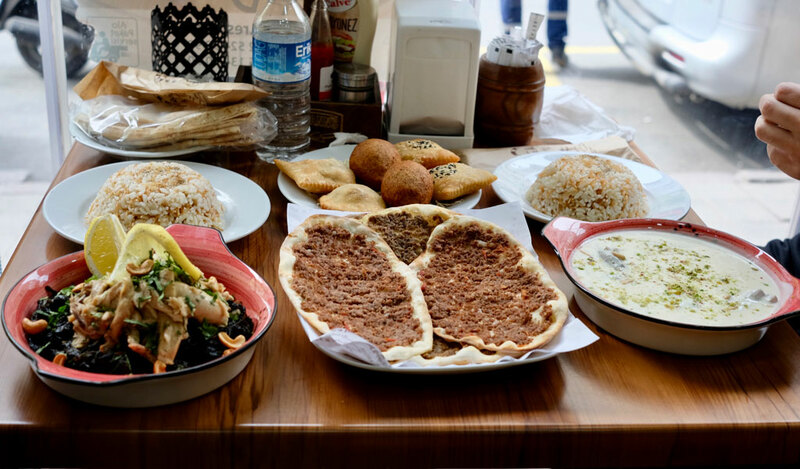 This is where Istanbul comes in. As capital of the Ottoman world, it played a huge role in spreading coffee culture. The first coffee that was exported to the world came through Eminönü port, not so far away from where Mocha Arabica now stands. 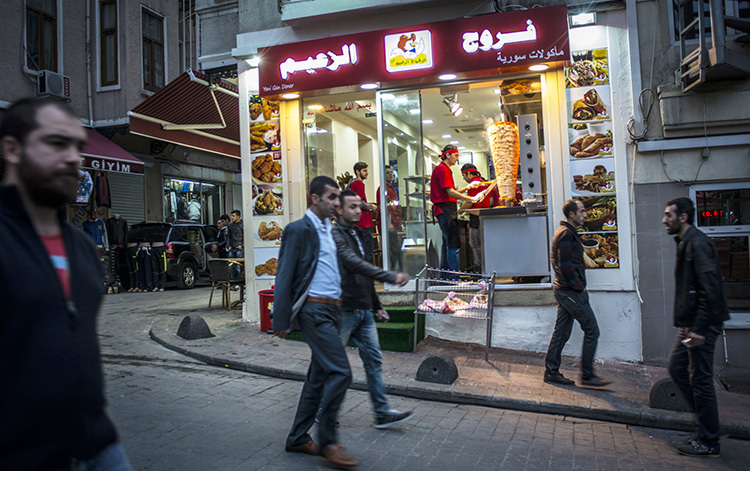 Its position is no less strategic today as a crossroads between Africa, Europe and Asia for Basem: he sees this city as a perfect spot to disseminate both information and the coffee beans he imports raw from Yemen but roasts here in Istanbul. 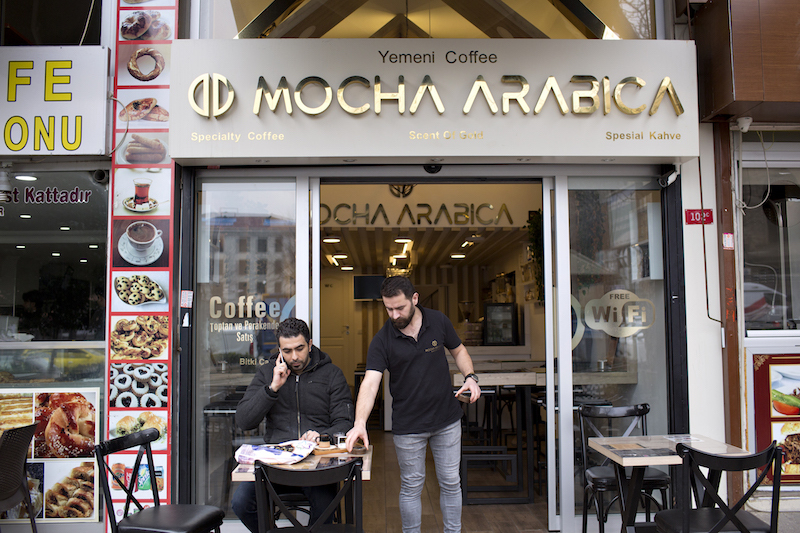 So while his local customers include Turks, who according to Basem are crazy about Yemeni varietals for their Turkish coffee, as well as fellow Yemenis, Syrians and other foreigners, he also sells a lot of coffee through the Mocha Arabica website to Europe. Throughout our conversation, we sipped on a cup of coffee, this time a blend of the Balali and a variety called Rose, both from the Haraz Mountains. We were also treated to a traditional drink, which Basem called kishir, made from coffee husks. 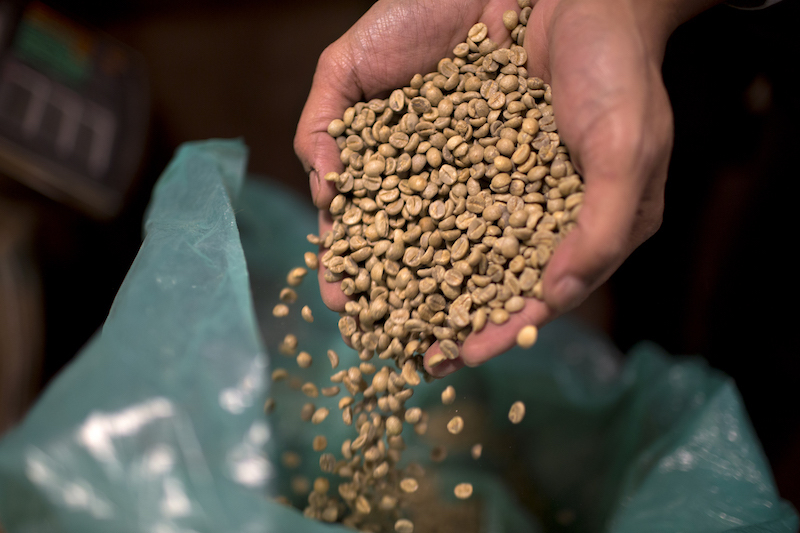 Another unique characteristic of Yemeni coffee production is that they use the husks, what is considered a by-product in other parts of the world, to make this infusion drink thereby reducing overall waste in coffee production. The taste is more herbaceous than coffee, like a cross between coffee and tea. It’s also naturally sweet and has a much higher caffeine content since the husks contain a lot of sugar as well as most of the caffeine. To accompany the flavorful coffee, we had a scrumptious red velvet cupcake. 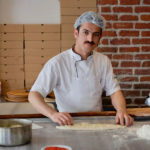 All of the baked items in the café are made by Fatima Alariqi, who is also from Yemen and a graduate of the LIFE Project, a new program helping both foreigners and Turks become food entrepreneurs in Istanbul. She has an intriguing-sounding künefe cupcake, though unfortunately during our visits, it was sold out. However, all her cupcakes and other cakes under the name of Koop can be special ordered through Mocha Arabica. As we were enjoying this sweet treat, two young women came in for a cup of coffee. Since one was gluten-intolerant, Basem served them Yemeni helva, which we then asked to try as well. Made by Basem’s brother’s wife, this bite-size nougat was completely different from the helva we know here in Turkey: it was almost the same shade of maroon as the red velvet cupcake, made with saffron, rose water, brown sugar, almonds and spices, and provided a very fragrant and satisfying complement to the coffee. At some point in our chat with Basem, it came up that the original word in Arabic for coffee, qahwah, also referred to wine. Indeed, in the early days of coffee drinking the berries were even turned into a fermented pulp from which wine was produced. 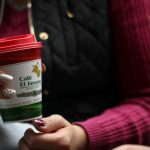 It seems the association of coffee with wine, and all of the language and culture that go with it, was more apt than we first realized – our experience of drinking coffee at Mocha Arabica was in the end not unlike a wine tasting, a slow and steady awakening of our taste buds to the long-cultivated beans behind the brew.